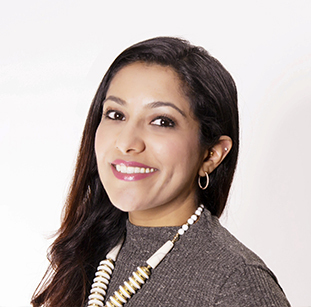 Dr. Neha Kansara is a double board-certified Psychiatrist. She specializes in Perinatal, Infant, Child, Adolescent and Adult Psychiatry. After her successful completion of medical school in India, she moved to the United States to gather experience in the field of Psychiatry, that she is so passionate about. She also carries an in-depth research background from SUNY Upstate in New York, Duke University in Durham and also served the Veterans Affairs hospital in Washington D.C. where her devotedness for trauma and PTSD stems from. Her journey continued to the University of Mississippi Medical Center, in Jackson, MS where she completed her Adult Psychiatry Residency. She was top of her residency program for the in-service examination called PRITE. She continued to travel and arrived in New Orleans, where she endured her love for the pediatric age group and dedicated 2 years to studying infant, child and adolescent Psychiatry at LSU (Louisiana State University). Having successfully completed training in both Adult and Infant, Child, Adolescent Psychiatry, she also has a profound affinity towards treating conditions during Prenatal/pregnancy/postpartum period, aka PMAD’s (post-partum maternal anxiety and depression). A few other conditions she specializes in and has immense interest are – Developmental disorders of Infancy, Autism, ADHD, Trauma-PTSD, Transgender, OCD, Eating disorder and other common psychiatric conditions such as mood and anxiety disorders catering to both the pediatric and adult populations. She is also certified in Transcranial Magnetic Stimulation (TMS) for resistant depression and trained in Deep Brain Stimulation, (DBS).